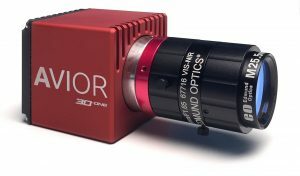 The Avior series has been specifically designed for OEM customers seeking a compact and robust solution for hyperspectral imaging. The camera is commercially available for customers in industrial machine vision and medical imaging fields who intend on using their own spectral processing and optical technologies. The Avior cameras feature a global shutter CMOS sensor with IMEC filter technology for hyperspectral imaging. The design of the camera is optimized for size, weight and power. Avior measures only a cubic of 46mm and a mass of less than 175g. The industry standard CameraLink interface guarantees reliable data transfer and robust synchronization. The interface features PoCL to enable single cable operation of the camera.